Tickets are on sale to view the launch of SpaceX's largest rocket, the Falcon Heavy, which carries with it humanity's ambition to land astronauts on the surface of Mars. The Kennedy Space Center in Cape Canaveral, Florida, is now selling tickets to view the launch of SpaceX's largest rocket, the Falcon Heavy, which carries with it humanity's ambition to land astronauts on Mars. The announcement of ticket sales follows the successful "static test" of the Falcon Heavy's engines, a crucial stage in determining that the rocket is ready to launch. While a launch date is not currently scheduled, SpaceX founder Elon Musk expects to launch within "a week or so." The Falcon Heavy rocket currently sits upright on a launch pad at the Kennedy Space Center. During the static test which took place on January 24, its engines were ignited creating but without the rocket taking off. A plume of steam is created during static testing, however, that gives the impression of a rocket at liftoff. When it launches, the Falcon Heavy will be the most powerful rocket in operation with 5 million pounds of thrust, but not the most powerful rocket ever. The Apollo 11 rocket, which first carried humans to surface of the moon—Neil Armstrong and Buzz Aldrin—had 7.5 million pounds of thrust at liftoff. To get 5 million pounds of thrust at liftoff, the two-stage Falcon Heavy has 27 first-stage Merlin engines, as SpaceX states. That’s three times as many engines as are on SpaceX’s current workhorse rocket, the Falcon 9. If the Falcon Heavy launches successfully, it will become a commercially available spacecraft capable of carrying heavier payloads into Earth's orbit. The rocket would also become NASA's preferred way of reaching the moon or Mars with a crew astronauts. According to the Verge, the Falcon Heavy will carry Elon Musk's personal Tesla roadster as its virgin payload, carrying the electric car into an orbit around the sun that is the same distance away as Mars' orbit. The dream, of course, is to land astronauts on the Red Planet, a goal NASA aims to complete by 2030. Before sending a crew of humans directly to Mars, however, it may use the Falcon Heavy to establish a moon base that serves as a 'filling station' for a Mars mission. 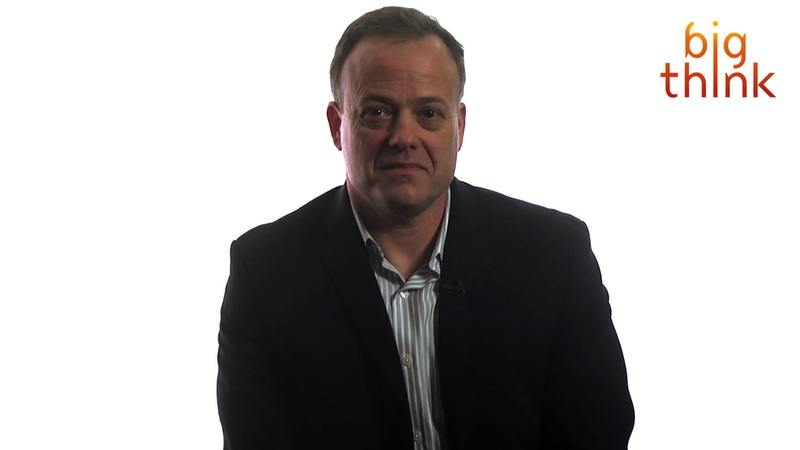 As astronaut Ron Garan told Big Think, "from a long-term point of view it makes sense to have the next step being to return to the moon, this time to stay."